Karma has its own and mysterious ways to operate. Valuable people get invisible for some time in the history of theosophical movement. They are almost completely forgotten, and then - due to the law of cycles - the memory and record of their lives and efforts awaken again. Alice Cleather is one example among others. She belonged to the Inner Group of the esoteric school founded by Helena P. Blavatsky in London during the late 1880s. In the first part of the 20th century, Ms. Cleather wrote three books on her teacher, on theosophy, and on the theosophical movement. She showed how Annie Besant abandoned the original theosophy in order to talk to the “king of the world” and to organize the public reappearance of her own imaginary “Lord Christ”. Forgotten by some, unknown to many, Alice Cleather’s books have decisive things to say to the theosophical movement in the present century. Though not infallible, Ms. Cleather was an ethical person. She had a clear vision. Her testimony has a place in the history of the theosophical movement. Mr. William Kingsland is another “invisible” theosophist whose life and work are getting visible again. Kingsland was the president of the London Blavatsky Lodge for some time, during H.P.B.’s life. He was present in all of the 1889 meetings with H.P.B. whose content is transcribed in the volume “The Secret Doctrine Dialogues” . He chaired 12 of those 21 meetings, and took an active part in the discussions and dialogue. Page after page, the reader of “The Secret Doctrine Dialogues” gets used to Kingsland’s views and ideas, as he follows the direct and frank dialogue with H.P. Blavatsky. It was in December 1909, some twenty years later, that William Kingsland resigned his membership of the Adyar Society. He did so with an Open Letter to Annie Besant, and a significant part of the document is reproduced in chapter one of Alice Cleather’s book “H.P. Blavatsky - A Great Betrayal”. 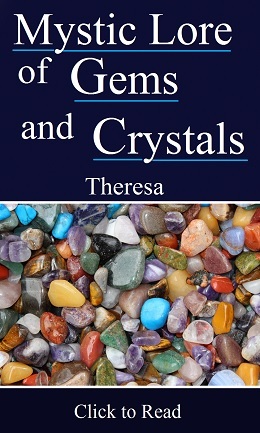 The books by Mrs. Cleather are helpful in many ways to the new generations of students who want to understand the evolution of the theosophical movement as a whole. While in the United States the United Lodge of Theosophists (ULT) started to emerge in 1909 with the goal of rescuing the original philosophy, in London William Kingsland, Edward Schuré and others were leaving the Adyar Society because Adyar had adopted as its de facto guru someone who many considered a criminal, or at least an enemy of the Masters of the Wisdom and their Ethics. Kingsland and Schuré followed the example given by G.R.S. Mead. The honest people who had been used in the political campaign unleashed against William Judge in 1894-1895 then could realize, at least in part, what had really happened to their Society. We reproduce below Chapter one of Mrs. Cleather’s book “H.P. Blavatsky, a Great Betrayal” . The title of the text is “Mr. William Kingsland on the Crisis of 1906”. In order to understand the first paragraph, the reader must take into consideration the fact that in 1906 Mr. Charles Leadbeater had been forced by Henry Olcott to resign his membership of the Adyar Society, in order to avoid being formally expelled. “The Secret Doctrine Dialogues”, by H. P. Blavatsky, Theosophy Co., Los Angeles, 2014, 722 pages. “H.P. 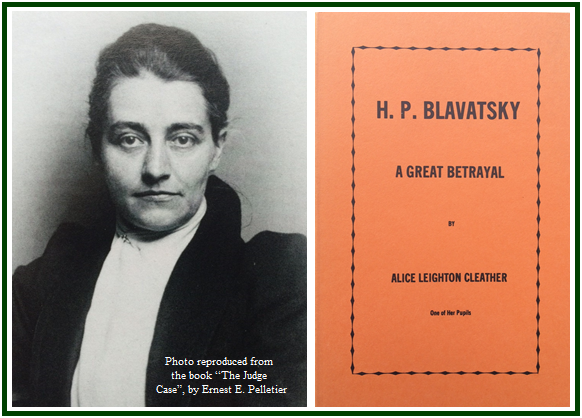 Blavatsky – A Great Betrayal”, by Alice Leighton Cleather, Thacker Spink & Co., Calcutta, 1922, 96 pp. See pp. 7-10. THE first of the old papers I shall quote from is by my old friend and fellow-Councillor Mr. William Kingsland, author of The Esoteric Basis of Christianity and kindred works. He was one of the leading members in the early days under H. P. B. who, when Mrs. Besant on securing the Presidency after Colonel Olcott’s death in 1907 reinstated Mr. Leadbeater, resigned their membership. Mrs. Besant had reviewed a new book by Mr. Kingsland, and took the opportunity to refer to his resignation. You have dragged in a perfectly irrelevant, uncalled-for and untrue statement which I cannot allow to pass unchallenged ... 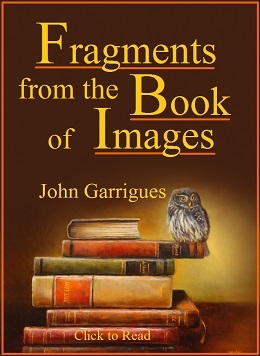 The words I refer to are these: “We have here a very excellent Theosophical book, with an evasion of all recognition of the source whence the ideas are drawn. When Theosophy becomes fashionable, how those who refuse to walk with her in the days of scorning will crowd to claim her as theirs when she walks in the sunshine amid applause!” Now these words convey the implication, in the first place, that there is a connection between the form in which my book is presented, and recent events in the Theosophical Society which have led me as well as many others, to sever our connection with that Society; and, in the second place, that we now “refuse to walk with her” because, forsooth, she is not now “fashionable”, but “in the days of scorning”. Neither of these statements is true, and the implication is most unworthy of you ……. That, however, is a small matter compared with the implication that I and others have turned our backs on Theosophy for so unworthy a reason. Let me ask you to look at the names of the old and tried workers whom you have forced out of the Society by your disastrous policy, and then ask yourself in the Great Presence whether it is true that any of them have deserted Theosophy or rather the Theosophical Society because it is less “fashionable” now than it was in the old days when you and I and these others stood side by side and fought the battle for H. P. Blavatsky. Did any of us shirk obloquy then, and do you really think we are less ready to face it now? It is one thing, however, to incur obloquy for the sake of Truth, and quite another thing to be asked to do it in support of immoral teachings ……. What I want to point out now more particularly, and in the interest of true Theosophy, is, that you are now making the grand mistake - one never made by H. P. Blavatsky - of thinking, writing, and speaking as if Theosophy and the Theosophical Society were one and the same thing, absolutely identical; and that there can be no Theosophy in the world without the Theosophical Society, and no Theosophists outside of it ……. You must know that in leaving the Theosophical Society, the great majority of us at all events have not given up Theosophy, even if we may feel compelled to teach it under another name, and though we can no longer work with or through the Theosophical Society, we are none the less carrying on the great work which H. P. Blavatsky initiated. But in the old days we did at least think that the Theosophical Society stood for pure Theosophy and pure Morality. We cannot think or say this any longer. 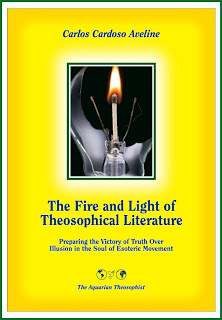 The “Theosophy” of the Theosophical Society is now a definite creed and dogma based upon authoritative psychic pronouncements, from which those who dare to differ are first of all squeezed out of office by the President, and finally compelled to leave the Society, being denounced in the strongest language as “persecutors” and “haters”. I am quite aware that all the time you are preaching freedom of opinion; but that is one of the farcical aspects of the régime which you inaugurated ……. Whatever you may preach, it is now notorious that your practice has been the exact reverse. You commenced by turning out the Vice-President for daring to hold a different opinion from your own as to the inception of the Society; and you then proceeded so to manipulate matters that several old and tried officials who had been in opposition to your pronouncements and policy, were ousted from their positions as General Secretaries of Sections ……. Well, you succeeded in getting your own supporters appointed - and in losing many hundreds of old members. Doubtless you will now have complete control and be able to mould the Society to your own will and liking, and train it to “obedience” to your psychic authority and visions. At what expense and sacrifice of principles you have already done this, we all know. But let none imagine that this is the basis on which H. P. Blavatsky founded the Society; or that it will thus fulfil the mission for which it was intended; or that it can thereby become other than a narrow and exclusive sect. And if perchance your statement is true that the Theosophical Society which you so mistakenly identify with Theosophy is now “in the days of scorning”, possibly even more than it was in the old days; What and who is it that has made it so ? Is it not because the President and General Council have set their seal and official condonation to a “theosophy” which countenances the grossest immorality, and which can advocate - as a means of “discharging [sic] thought-forms” (see Van Hook’s pamphlet) - a practice which you yourself once characterised as being “when taught under the name of Divine Wisdom, essentially earthly, sensual, devilish?” Yet it is thus taught and justified with an appeal to the laws of reincarnation and karma - in Van Hook’s pamphlet, which you and the General Council have refused to repudiate, and have thereby condoned. And now, since you have had your own way, and have cleared the Society of the elements of the so-called “hatred and persecution”; can you not at least refrain from hitting behind our backs? Nothing is sadder for your old friends and comrades than to see you stoop to veiled insinuations, and even direct untruths; missing no opportunity - not even in the review of a book - of striking unjustly and falsely at those who have recently been your opponents, and who have now no direct means of answering you, or of refuting your statements within the Society itself. I have italicised a few passages which seem to be of special importance as showing that, thirteen years ago , Mr. Leadbeater’s sinister hand had already grasped the Society and its infatuated President, and that his vile and immoral teachings, supported by her, had driven out some of the oldest and most clear-headed and clear-sighted of H. P. Blavatsky’s friends and pupils; among them Mr. G. R. S. Mead, one of the Leadbeater Committee of Inquiry, who also resigned at the time Mrs. Besant became President for the same reasons as those stated by Mr. Kingsland. The “practice” to which he alludes in his Open Letter is of course now well known to be that taught and advocated by Mr. Leadbeater, who claims that in so doing he is acting on the advice and under the authority of one of the Masters of Wisdom. Could a more terrible infamy be perpetrated!